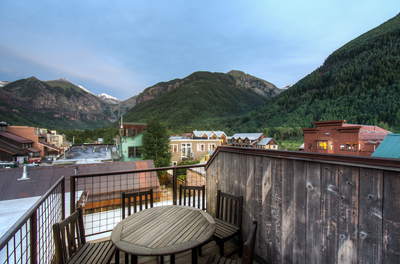 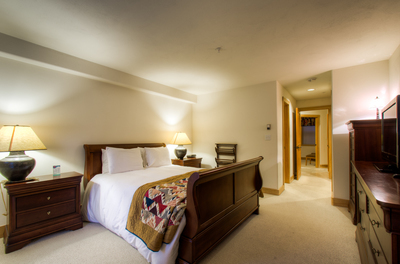 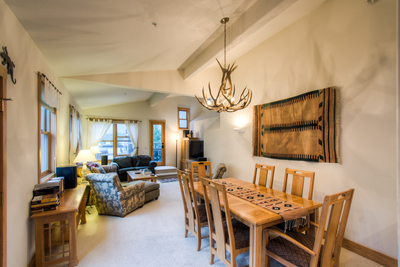 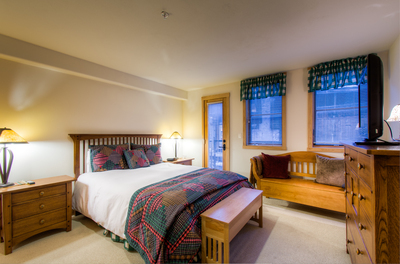 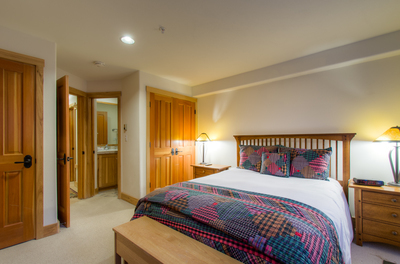 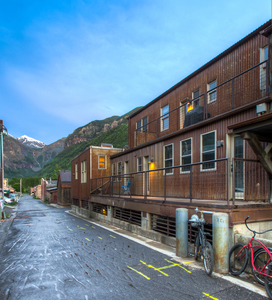 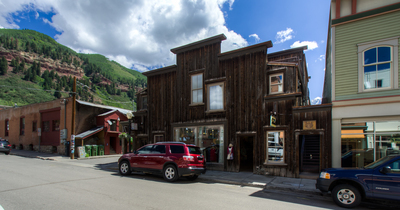 The Livery at 110 S. Pine Street, (named as it was previously the site of a horse stable,) is ideally located to take advantage of all of Telluride’s recreational and lifestyle amenities, all without the need for a car. 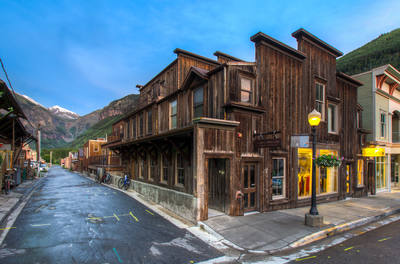 Ski, hike, climb, bike, fish, eat, shop and share a cold beer with some locals. 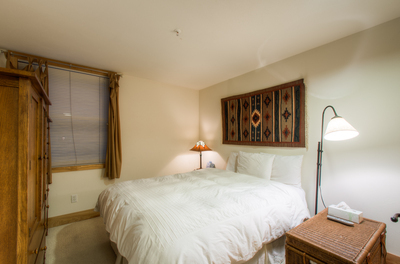 Unit 1A has a perfect layout for groups large or small. 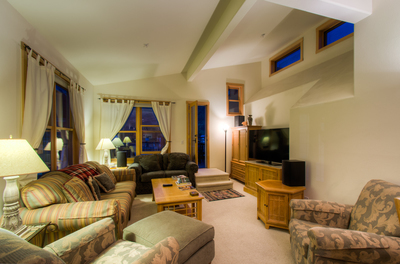 The upstairs living area features two decks - one with seating for 6 and the other with a natural gas Weber grill. 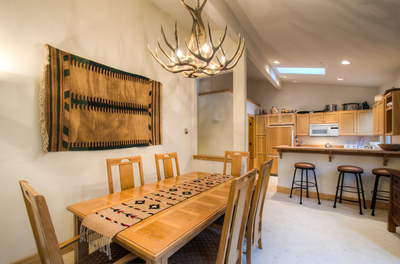 The living space has fantastic down valley 'Ajax' views, a cathedral ceiling, multiple skylights,a 55' LED TV and an open plan arrangement ideal for post-ski lounging, communal cooking or summer BBQs. 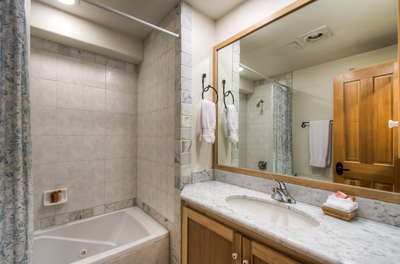 Downstairs, Master Bedroom 1 features an ensuite bath w/ whirlpool tub and flatscreen TV. 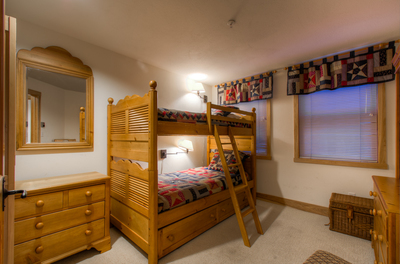 This bedroom is connected via a private hallway to Bedroom 3 (the 'bunk' room, also with its own bath) making it perfect for a family. 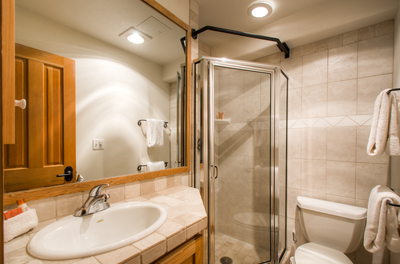 Master Bedroom 2 also includes an ensuite bath w/ shower and flatscreen TV. 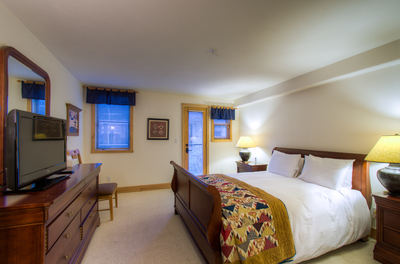 Bedroom 4 has a queen bed and also has a dedicated bath with whirlpool tub. 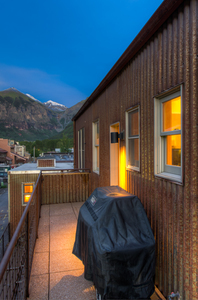 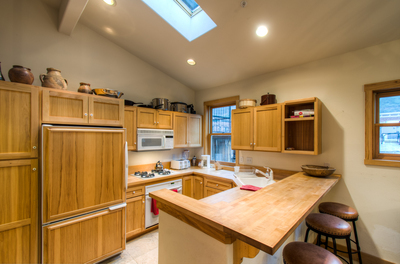 In addition to it's proximity to the lifts and town, The Livery is a two minute walk from town park making it the ideal location for Telluride's many music festivals and performances.